The Cardinal Chorale is treated to a few surprises and an amazing performance. After a wonderful breakfast, the Chorale headed to rehearsal. 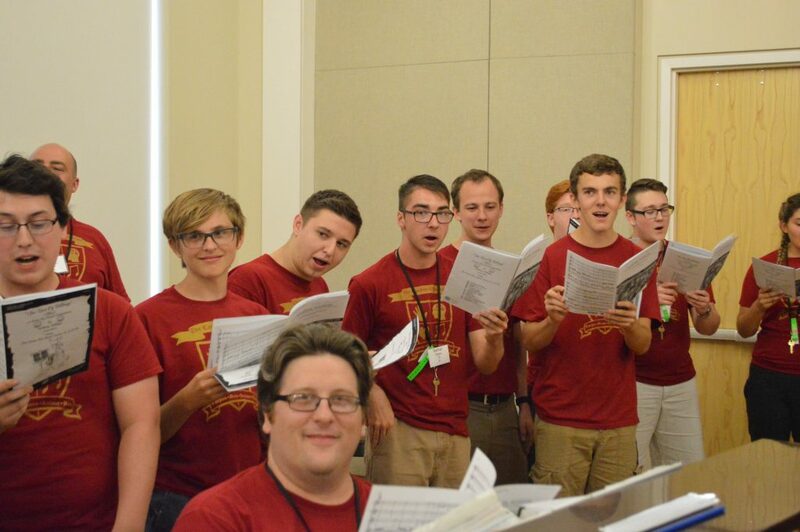 During sectional rehearsals, staff interns demonstrated how to narrate the passages that come before a few of the songs. Both the men and women continue to make a lot of progress in many of their songs as anticipation for their debut concert on Saturday grows. 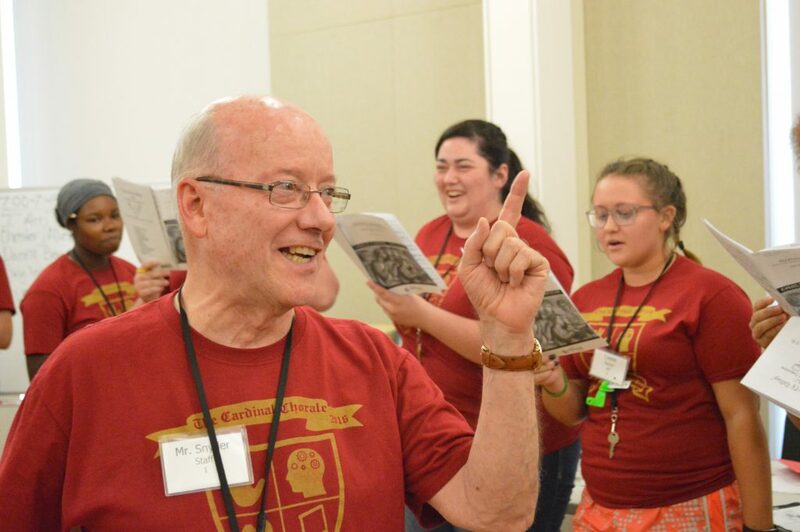 Singers had the opportunity to audition for brass parts in Roy Ringwald’s arrangement of God Bless America, which will add an extra level of excitement to the music. After lunch and afternoon rehearsals, singers were treated to a special surprise: nap time! The much needed break was greatly appreciated as it allowed singers to rest their voices and catch up on sleep, especially after last night’s square dancing. There was one more surprise following dinner, but this one was for the director. During Dietrich Buxtehude’s Alleluia, Alleluia, one of the more complicated pieces in the Chorale’s repertoire this year, the entire choir sang “bock” instead of the words. The result? A room that sounded like it was full of chickens and a very surprised and confused conductor! 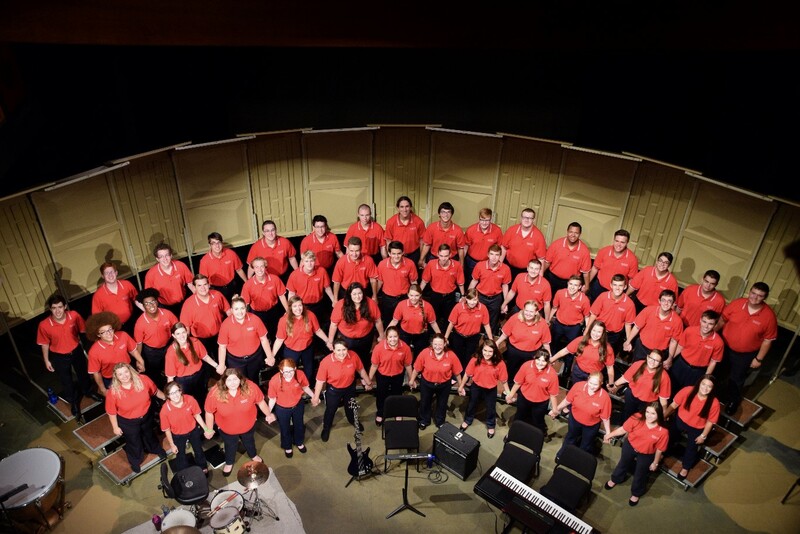 The surprises of the day are good examples of what it’s like to make a connection with someone new, something the Chorale strives to do. Making that connection is often a little surprising, especially if you feel you have nothing in common. However, after the disbelief and confusion in the beginning, a tighter bond is formed and both parties come away from it smiling. This evening, singers also enjoyed a performance by BGSU’s Ten40! 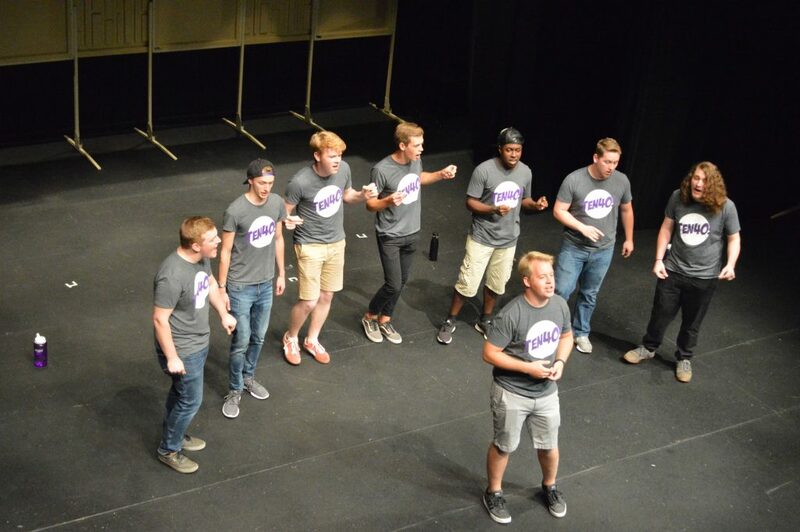 This is a men’s a cappella group from Bowling Green State University, featuring a few singers some staff members already knew. The performance was amazing, with a nice blend of different styles of a cappella music. Their energy and enthusiasm for singing was a great way to wrap up this week’s performances! The Cardinal Chorale is very grateful for today’s surprises, both in new friends and in chicken noises. The Chorale also thanks Ten40! for performing for us! ← O’er the Hills We Go!